PENTICTON, BC – Cannery Brewing has announced the release of a new limited edition beer to celebrate the 10th anniversary of a local sports and entertainment complex. 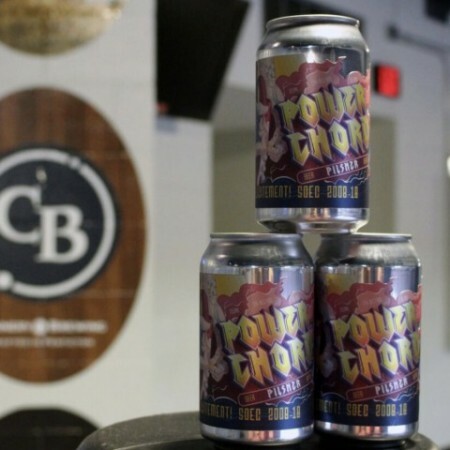 Power Chord Pilsner has been brewed in partnership with the South Okanagan Events Centre, the home arena of the Penticton Vees hockey team as well as a live music and events venue. Described as “a light bodied craft pilsner with a crisp, clean finish,” the beer will also benefit the local community, with partial proceeds to be donated to the Canadian Mental Health Association South Okanagan Similkameen. Power Chord will be launched at SOEC during the Penticton Vees home opener this Saturday September 29th. It will also be available in cans and on tap at Cannery while supplies last.